Ebay can be a tricky place to navigate when it comes to sewing machines, especially vintage machines. To increase your odds of a good buying experience, I would like to offer the following tips for buying a sewing machine on eBay. Do your research on the type of machine you are considering beyond what is stated in sites like PatternReview, Yahoo groups etc. This blog and others on this vast internet do offer information about sewing machines that isn’t skewed by the eBay sellers drive to get your money. Talk to sewing friends and even your local repairman if you can. Do not take the sellers word for the quality or capability of any model of sewing machine even if their feedback is 100%. I see many sewing machines listed as “working”, but the seller never sewed with it or even witnessed it actually make any stitches on fabric. Ask the seller, ” DOES IT ACTUALLY SEW? When was the last time someone sewed with it?” Just because parts move and “the stabber thingy goes up and down” doesn’t mean that the machine sews properly or that all it’s functions work correctly. If you aren’t interested in purchasing a machine that might require repairs, look for a seller that has fully tested the machine and will guarantee that it works as designed. Does it include a power cord, foot controller, presser foot, bobbin case, etc. Certain parts can be difficult to find and/or expensive to replace if they are missing. Manuals can often be purchased for under $20 from an online source or sometimes downloaded at no cost. Keep in mind that some machines are quite heavy, and shipping a 45 pound box isn’t going to be cheap, but watch out for sellers that overly inflate the shipping to avoid eBay fees. You can check the UPS and USPS or any express shipping sites to get an idea of the cost to ship a machine to your location. 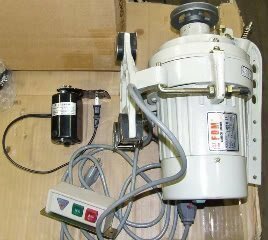 Sewing machines require VERY careful packing, and unless it is still in the original box with the original packing material, it can cost some dollars for the seller to get the correct and sufficient packing supplies. It can easily take an hour to correctly pack a machine as well. 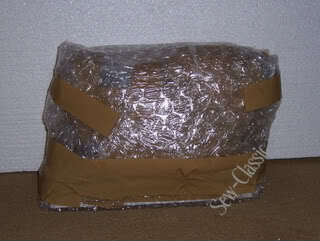 Also, shipping insurance will NOT cover improper packaging. Honestly, your luck if it covers anything. 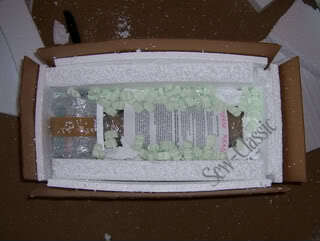 If the seller claims that they will not be responsible for damage in shipping, then YOU WILL BE STUCK if the item isn’t properly packed and is damaged in shipping. 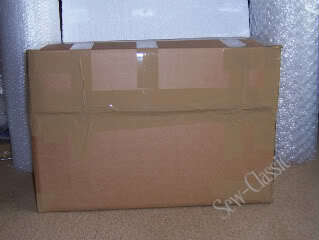 Sewing machines can be very difficult to pack and damage in transit is VERY common as a result. So, do you really expect the seller of that bargain $19 dollar, cast iron sewing machine to spend $10 on packing materials and an hour packing it? Chances are really good that they aren’t going to be eager to invest the extra time and money required to prevent a sewing machine from getting damaged. Only buy from a seller that will guarantee the safe arrival of your sewing machine or limit your purchases to local pick-up items. Yes, there are sellers that add a surcharge to an item for local pick up. I highly recommend that you contact the seller in advance and inquire about their policy on local pick up of items prior to bidding. These are all equally vague, deceptive and essentially meaningless phrases used to misrepresent what is really a home / household / domestic sewing machine. These terms give the false impression that the machine is more than what it really is – a household / domestic machine. Furthermore, not all industrial machines can even sew heavy materials. Industrial machines are intended for high volume, mass production applications and are very specialized to a particular task or type of sewing. Our domestic machines are more of a “jack of all trades” so to speak. Note the difference between the domestic motor on the left and the industrial motor on the right. A seller that uses the word industrial (or the other equally inaccurate terms) to describe something that clearly isn’t so, is either intentionally misleading the buyer or very uninformed. Either way, do you really want to buy a sewing machine from them? As if this weren’t enough foolishness, there are now a rash of sellers that have dropped the word “strength” from the phrase, and are simply calling household sewing machines “industrial”. As a seller, PayPal costs me money, but as a buyer it does offer some protection. If an item is significantly different than what is stated in the auction or the emails from the seller (hang on to those) then you can file a claim and try to get a refund. Next How Much is a Vintage Sewing Machine Worth?